Tour the streets and railways of Germany's Miniatur Wunderland. When you think of Google Street View, you'll probably get visions of the company's camera-mounted cars or its colossal Trekker backpacks. The search giant has sent them to some of the world's most picturesque locations, but for its latest Street View project, things have got a whole lot smaller. With help from a specially-modified model train and bus, Google has captured a 360-degree Street View map of Hamburg's Miniatur Wunderland, the world's largest miniature railway. Miniatur Wunderland hosts 13 kilometers of track and over 200,000 model citizens in seven distinct districts. On the tour, you'll visit the fictional city of Knuffingen, the Swiss Alps, Las Vegas and the Grand Canyon and a fully-functional Hamburg Airport (complete with over 30 planes), amongst others. Google worked with German map specialist Ubilabs to capture everything that the museum has to offer. 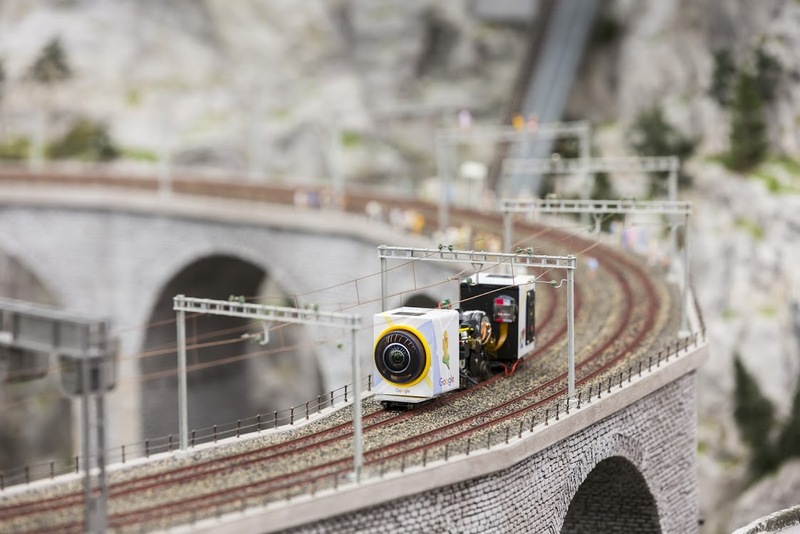 An "entirely new — and much smaller — device" was attached to tiny vehicles that were then driven on the roads and along the train tracks to photograph each miniature location. Miniatur Wunderland intends to add England, France and Africa to the exhibit within the next five years, with Italy set to open in the coming months. You can explore all of the existing locations right from your desk on the Street View website.